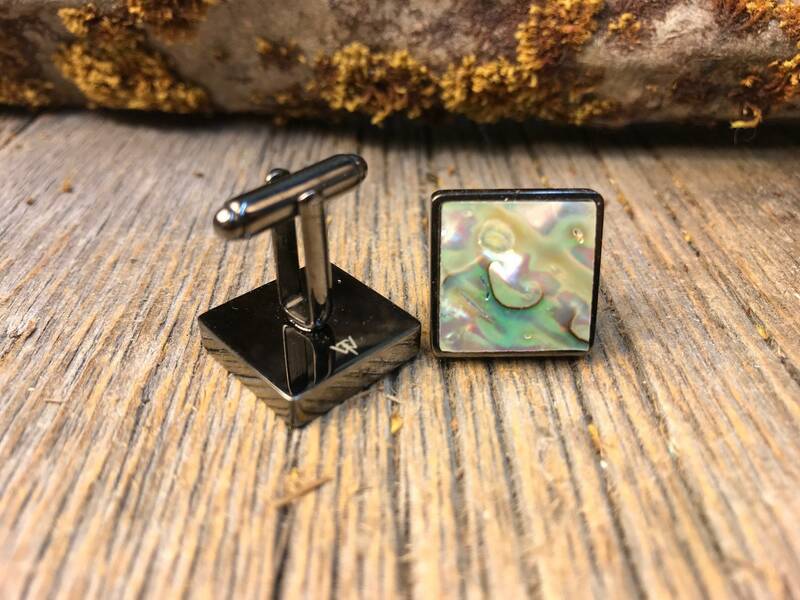 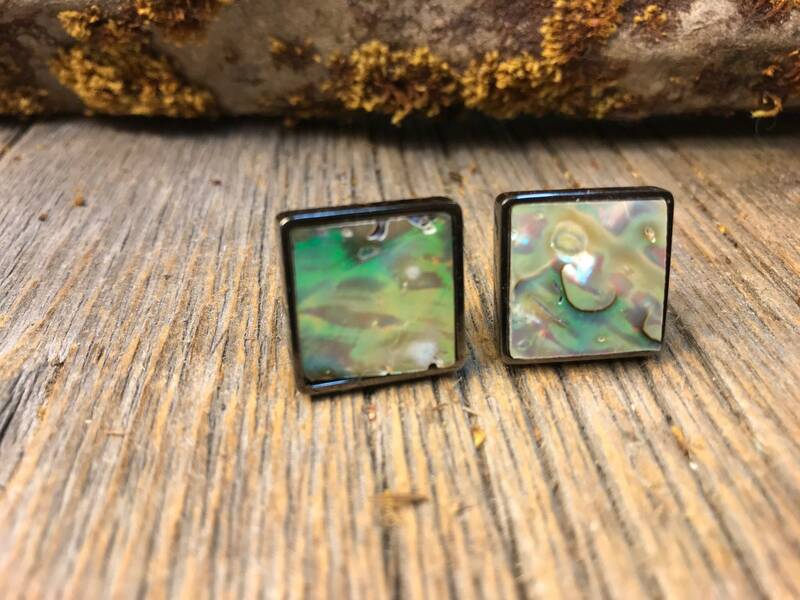 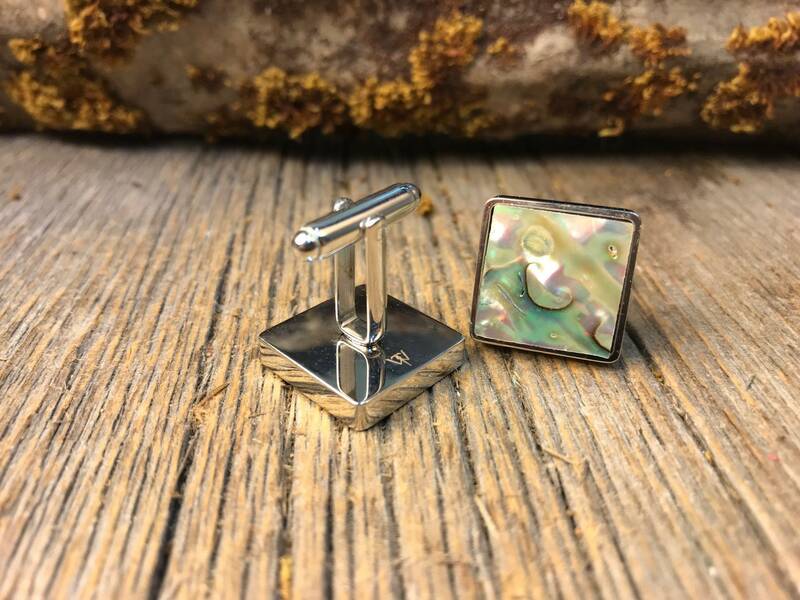 This simple and unique Cufflink Set features a gorgeous cut of Green Paua Abalone, precisely set into high-quality square French cufflink in either, silver or gunmetal black. 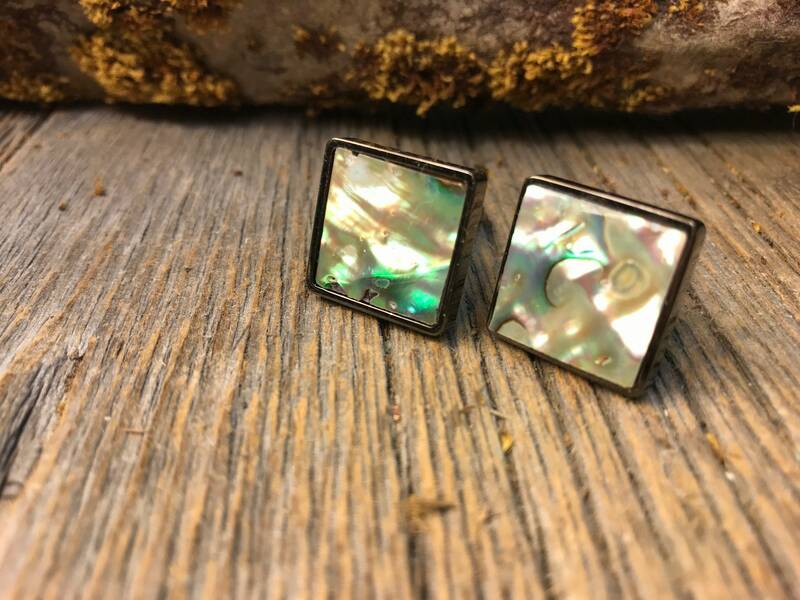 The hand-shaped blanks are cut from solid shell, and is meticulously sanded and buffed., to result in a nice glow. 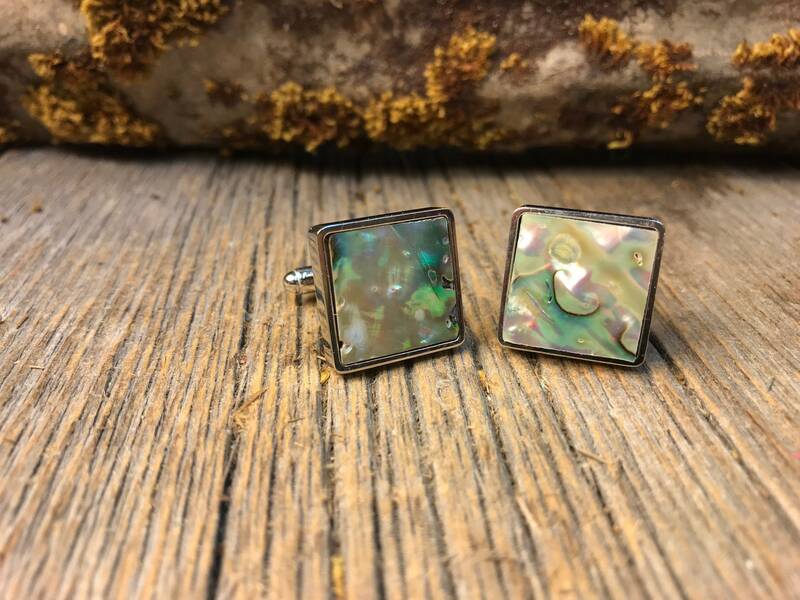 the pictures do not do it justice, since the digital eye can not reflect the intense beauty of this shell with all its color and hues .